This Texas Holdem poker table has fine quality blue felt covering the surface for a smooth playing area. This traditional design measures 96-inches by length, 42-inches by width. The table is strong and stable, laid on two pedestal style legs with 10 stainless steel cup holders. Pedestal poker tables. 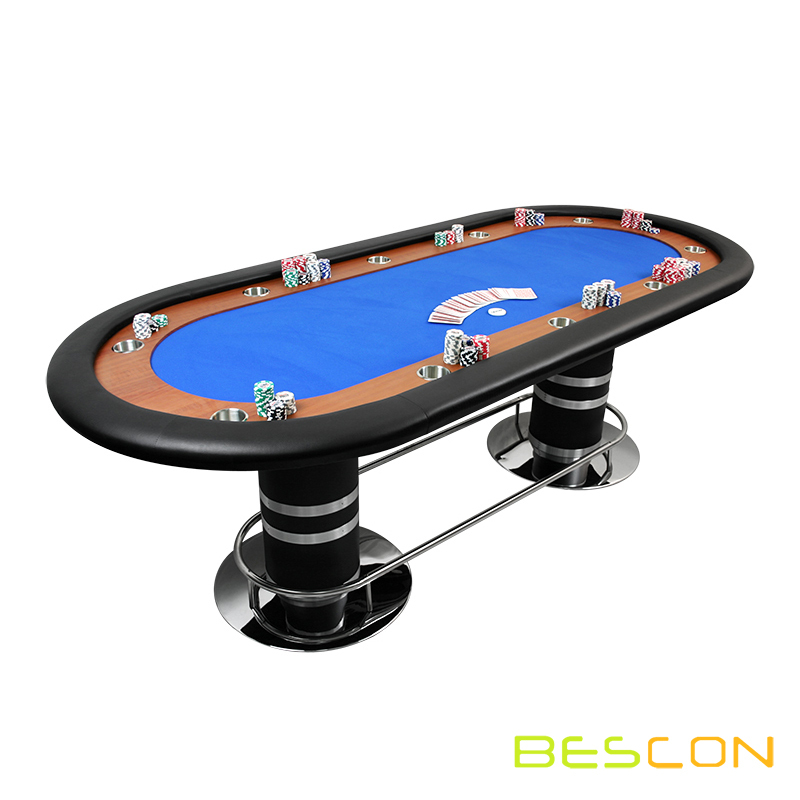 Bescon Industrial Co., Ltd. have rich experience in OEM / ODM manufacturing various Game Sets, Playing card, card game set, Poker Chips, Poker Chip set, Dominoes, Domino&poker tables, bar accessories, etc. Welcome your custom game set, etc. 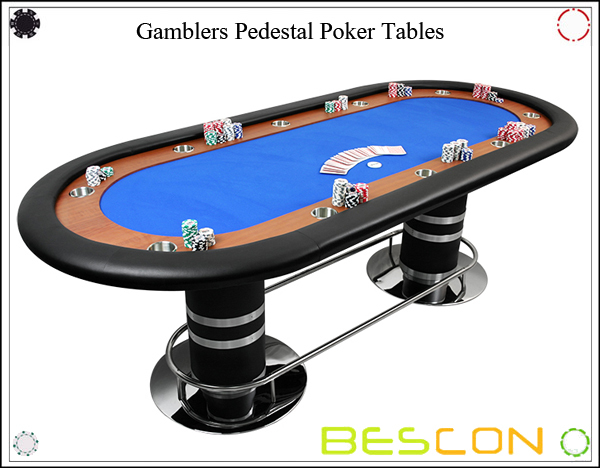 Looking for ideal Gamblers Pedestal Poker Tables Manufacturer & supplier ? We have a wide selection at great prices to help you get creative. 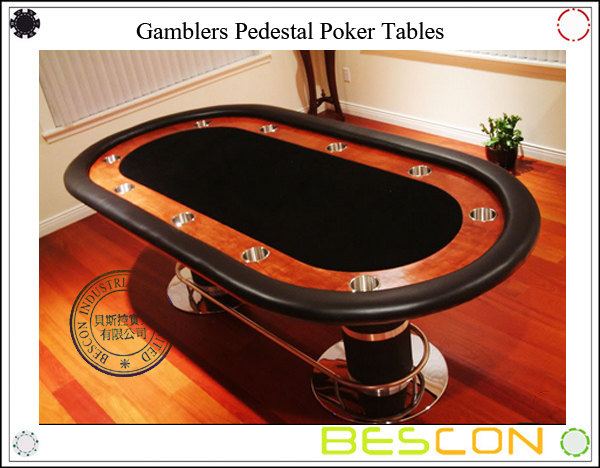 All the Pedestal Poker Tables are quality guaranteed. We are China Origin Factory of Poker Table. If you have any question, please feel free to contact us.